October is National Pizza Month, so in celebration we thought it was necessary to share one of our favorite theorems: the Pizza Theorem! 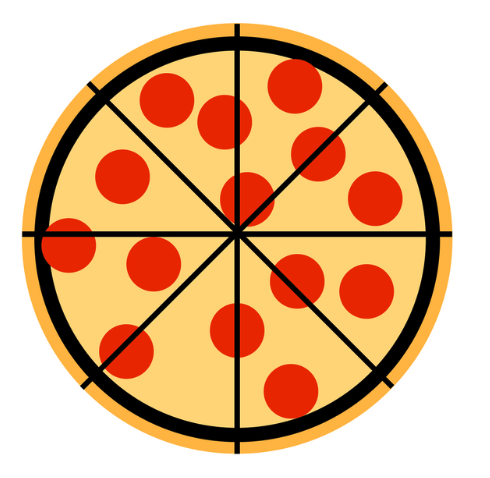 So sit down, grab a slice of your favorite pizza, and follow us on a journey of math and pizza. Let’s say that you’re having a study session with your friend Jamie. You and Jamie are determined to make it to MathCON finals, so you’re ready to smash some math problems and some pizza while you’re at it. Jamie volunteers to cut the pizza while you print of some practice tests. Cut the pizza into 8 slices so that we each get 4 slices. To do this, make 4 cuts through the center: vertical, horizontal, and at the two 45° angles. The question, then, is this: did Jamie follow the instructions? And, more importantly, will you get your fair share of pizza? The answer to both of these questions is YES! 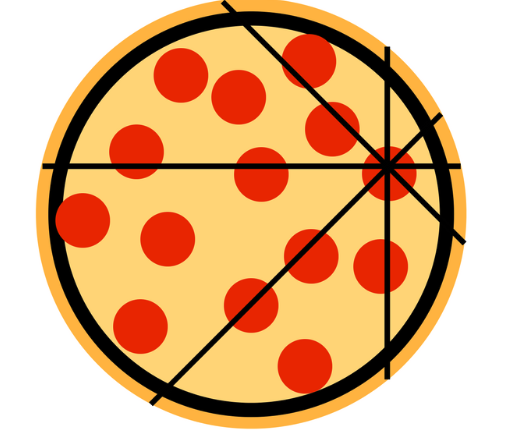 This is just a simple manifestation of The Pizza Theorem: If a circle is divided into 8, 12, 16…sections by making cuts at equal angles from an arbitrary point, then the sum of the areas of alternate slices will be equal. So as long as you and Jamie take alternating slices of pizza, you can have your fair share of pizza and Jamie can continue to be proud of his pizza math knowledge. 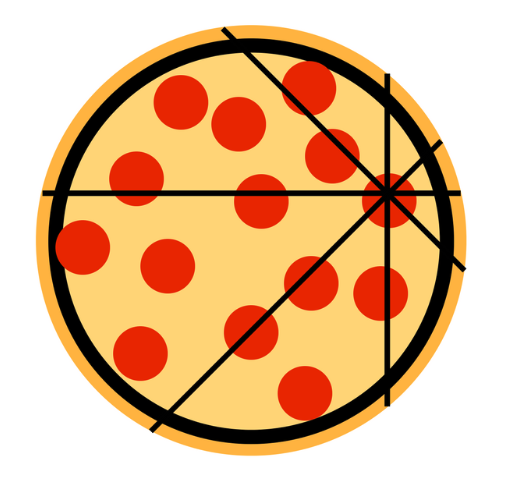 Want to learn more about the pizza theorem? Check out this video and this interactive site to look at different proofs of the theorem. Coming Soon: Math with Ayhan!